The Trump administration recently appointed Donald Yamamoto as acting Assistant Secretary of State for Africa. Prior to this appointment the main signal Africa has gotten with regards to US approach to foreign policy in Africa was through statements by former US Secretary of State Rex Tillerson, and his concerns with the growing economic strength of China in Africa. On September 18, the US government, through Tibor Nagy, Assistant Secretary, Bureau of African Affairs, provided clearer direction of the focus areas for the US in Africa going forward. 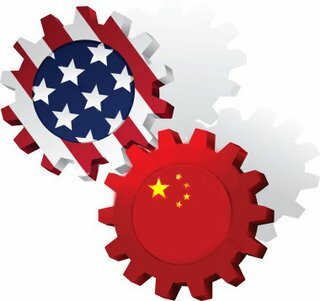 It seems US strategy will be focused on promoting stronger trade and commercial ties, and advancing peace and security. This is good because, rather than focusing on China in Africa, the USA has ample strengths it can leverage in Africa. If one focuses on the economic engagement potential between Africa and the USA, there is considerable room for both parties to benefit particularly with a focus on private sector development. To be clear, the term private sector here refers both to formal and informal businesses, large players and Micro, Small and Medium Enterprises (MSMEs). The first opportunity is in financing options and opportunities in Africa that can be met by US financiers. A key strength of the funding options presented by the USA is that financing opportunities fall along a spectrum of more mission-oriented to more business-oriented financing. A key funding gap Africa has right now is patient and affordable capital for MSME development, a gap which cripples private sector development in Africa. This funding gap can be met by financing options already provided by entities in the USA, particularly impact and angel investors. Business-focused grants and affordable debt can be channeled to develop MSMEs that deliver social and economic value, and strengthens their commercial returns and business activity. There is also opportunity for more bottom-line oriented financing for more established and large players in Africa. But the reality is that without the development of MSMEs, the pipeline of viable projects for mainstream investors will continue to be narrow. The USA has a blend of financing options that can be leveraged for MSME development and the creation of a pipeline of deeper financing options for everyone. This blend of financing can be more effectively coordinated and leveraged for private sector development to the benefit of both US and African players. The second opportunity the USA presents Africa is a focus on environmental, social and governance (ESG) issues. While parties from other parts of the world may be more willing to be lax on ESG issues, the fact that US businesses view these are core concerns is important. While the centrality of healthy ESG practices from US business may be due to legal compliance issues and high ESG expectations at home, African businesses financed with this approach are likely to be stronger business entities going forward. Thus, the focus on ESG performance is a strength US financiers can use to support the growth of holistically sustainable businesses in Africa. African businesses benefit by ensuring they not only meet legal ESG requirements, but actually develop a brand of being responsible businesses that support the development of their continent. The two points elucidated above are only the surface of the economic opportunities that exist between Africa and the USA. Thus, rather than being concerned with what other entities are doing in Africa, the USA ought clearly see it can be an important partner for private sector development in Africa and leverage this strength going forward. This entry was posted in Africa, Development economics, Economics, Political Economy and tagged Financing, impact investment, USA. On September 15, I sat down with Citizen TV to discuss dynamics between Chinese and Kenyans. This entry was posted in Africa, Development economics, Economics, Kenya, Political Economy and tagged Race Dynamics, racism, Sino-African relations. I recently came back from traveling in the USA after a long time of not having been there. What struck me was the robust presence of small business. Often sitting in Africa, you only here about massive US corporations, and their achievements. However, while I was there it struck me that there are similarities between small business in the USA and here in Kenya. First, definitions are required so that the terms being used are clear. In the USA, a small business is one that, depending on industry, has a maximum of 250 employees or a maximum of 1,500 employees. Some say a ballpark definition for small business is one with 500 employees or less. However, Kristie Arslan who worked with the Small Business and Entrepreneurship Council in the USA, makes the point that 95 percent of small businesses have fewer than 10 employees. Here in Kenya there are three categories that can be defined as small business namely, micro (less than 10 employees), small (10 to 49 employees and medium (50 and 99 employees). These constitute the Micro, Small and Medium Enterprise (MSME) segment of the economy. One key point of similarity is that small business in both countries lead in employing people. In the USA, small businesses employ 53 percent of the workforce; in Kenya 83 percent of employed Kenyans sat in the informal sector (which constitutes mainly of MSMEs) in 2017. Further, in both the USA and Kenya, small businesses generate the most jobs. In the USA, Arslan argues that small businesses account for 64 percent of net new jobs created. In Kenya the informal sector, was responsible for creating 89 percent of new jobs in 2016. The final point of similarity between small business in the USA and Kenya is financial constraints. 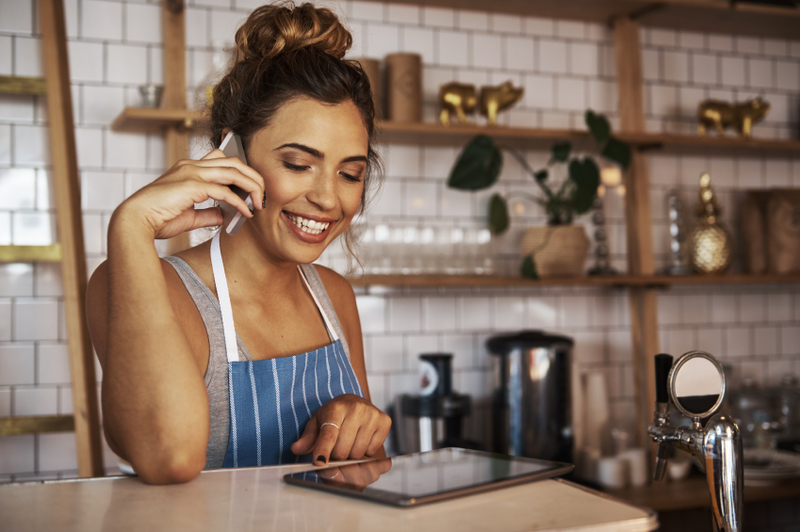 Whether it was the global financial crisis or the interest rate cap, lenders seem to have a similar attitude to small business, particularly when they are operating in a difficult environment. In the USA, after the global financial crisis, small business access to credit was severely constrained. Fundera points out that small business loans fell more sharply during the crisis relative to the peak—both in absolute and proportional terms—than large business loans, and access has remained relatively constrained during the recovery. This is exactly what has happened in Kenya when the interest rate cap was introduced. The Central Bank of Kenya report on the cap stated that the number of loan accounts declined significantly between October 2016 and June 2017, and there was lower access to credit by small borrowers. This trend continues and is not without consequence. It is estimated that reduced lending to the MSMEs due to the cap, contributed to a 1.4 percent decline in the growth of GDP in 2017. Clearly small business in both countries are marginalized due to attitudes of lenders, despite the fact that they are the segment of the economy that employ the most people and create the most of the jobs. However, despite the challenges small businesses face, they aren’t going anywhere. It seems the determination of the entrepreneurial spirit in both countries is alive and well. This entry was posted in Africa, Development economics, Economics, Kenya, Political Economy and tagged MSMEs, small business, USA. In my new paper for the South African Institute of International Affairs, I suggest that Kenya’s leaders, not China, should be the ones held accountable for borrowing too much money without a detailed, transparent plan on how to repay the loans. I join Eric & Cobus on the China-Africa Project podcast to discuss the growing anti-Chinese backlash in Kenya and the country’s’ burgeoning economic crisis. This entry was posted in Africa, Development economics, Economics, International Finance, Kenya, Political Economy and tagged debt, fiscal policy, Sino-African relations. 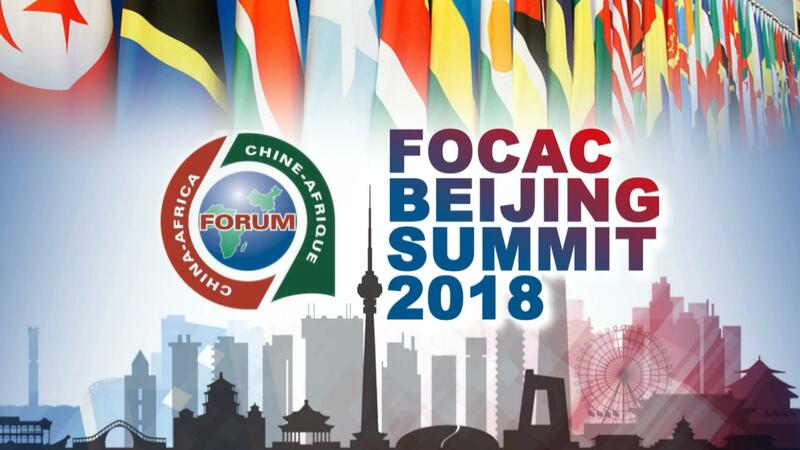 Last week African leaders attended the Forum on China Africa Cooperation (FOCAC), an event that has become the symbol of strengthening ties between China and Africa. In his speech, Xi Jinping stated that China will extend USD 60 billion of financing to Africa, a combination of grants, interest-free loans and concessional loans, credit lines, development financing, and a fund for financing imports from Africa. There are three key takeaways I think are important for African governments and Africa’s fiscal engagement with China. Firstly, Xi Jinping indicated an intention to ensure Sino-African cooperation delivers real benefits to both China and Africa perhaps indicating and awareness of the concern as to the economic viability of some of the projects financed by China on the continent. Some analysts are of the view that there will be an increase in China monitoring deals agreed to with African governments. The signalling of China perhaps having a keener eye to ensure real benefits accrue through Sino-African engagement is likely to be welcomed by African citizens, not so much African governments. I am of the view African governments enjoy the fiscal opacity that has defined deals made between them and China. If Sino-African deals undergo more scrutiny going forward, this would be welcome and perhaps push African governments to better demonstrate the intended and actual use of Chinese debt and financing. Secondly, Xi Jinping announced plans for debt relief with a focus on Africa’s least developed countries, heavily indebted and poor countries, landlocked developing countries and small island developing countries that have diplomatic relations with China. He stated that the debt incurred in the form of interest-free Chinese government loans due to mature by the end of 2018 will be exempted. This was a smart diplomatic move on the part of China given the fearmongering in some media circles that argued China was using debt to trap and control African governments and unilaterally seize China-financed assets. Finally, alongside FOCAC was a clear push of the debt trap diplomacy narrative, particularly by European and US media. The debt trap diplomacy narrative is part of a long history of Sinophobic narratives by EuroAmerica, focused on Sino-African relations. The narrative argues China is luring African governments into debt in order to control African governments and assets. The reality is starkly different. Debt appetite is coming from African governments, debt is not being pushed onto Africa by China; Kenya owes more to the World Bank than it does to China for example. Further, the West’s Sinophobic narrative on Chinese debt in Africa seems more rooted in a dislike, fear and paranoia about China rather than a genuine concern for Africa. The priority for most African citizens is a focus on African governments to ensure the debt deals make sense for the country, and that they’re sustainable and used properly, no matter the source of debt. Thus FOCAC in my view, signalled a divergence between EuroAmerica’s paranoid obsession with China, and the real concerns Africans have with regards to growing public debt. This entry was posted in Africa, Development economics, Economics, International Finance, Political Economy and tagged China, FOCAC, Sino-African relations. Last week President Kenyatta went to the USA to meet with Donald Trump. This was followed by a trip to Kenya by British Prime Minister Theresa May, and this week Kenyatta is attending the Forum on China Africa Cooperation (FOCAC). This flurry of diplomatic activity spotlights the ongoing interest in Africa and Kenya by both the West and East, as well a growing sense within the West for renewed relevance on the continent. Kenyatta is the second African leader to meet with Trump at the White House, following a visit by Nigeria’s Buhari earlier in the year. Following the meeting, investments worth USD 237 million were committed to wind power and food security, signed with companies in Kenya and facilitated by the Overseas Private Investment Corporation (Opic) which is a U.S. Government agency that helps American businesses invest in emerging markets. On Thursday, Ms May and Mr Kenyatta held their bilateral meeting in Nairobi, where Kenya was able to secure a deal to continue quota-free exports of horticulture produce to Britain after it leaves the European Union (EU). From her visit to South Africa, May pledged GBP 4 billion in support for African economies, which is expected to be matched by the private sector. May’s focus is on job creation for African youth and she signalled an intent of British government to focus more on long-term economic challenges rather than short-term poverty reduction. In her speech, the emerging rivalry for Africa within the West itself became evident when May stated that she wanted the UK to overtake the US and become the G7’s biggest investor in Africa by 2022. There are several points to note in the patterns emerging in the renewed push into Africa by the West. Firstly, there seems to be a difference with US versus UK style in economic deals; what is common however is the focus on private sector. The US let private sector take front and centre in the deals announced so far. Opic facilitated the process, and the role of the Kenyan government in all this is not clear yet. It seems that the Kenyan private sector, not government, is the focus of US interests. In the case of the UK, there seems to be a blend of both public and private sector funding, with public engagement leading. Again, the extent to which deals will be signed directly with the Kenyan government is not clear perhaps indicating that the UK is also more focused on private sector engagement than on large programs with the Kenyan government. The style of the US and UK contrasts starkly with that of China. Sino-African deals are a government to government affair with no clear articulation of how African private sector will benefit from the engagements, or even link to the private sector in China. Interestingly, the focus on the private sector and Foreign Direct Investment (FDI) by the US and UK complements China’s focus on debt and African governments. This emerging complementarity can create a powerful blend of financing for the continent going forward. It will be interesting to see what key deals emerge from FOCAC this week and whether China will begin to shift from being debt-focused, to FDI- focused given concerns with growing indebtedness to China. This entry was posted in Africa, Development economics, Economics, Political Economy, Politics and tagged China, debt, investment, Sino-African relations, UK, USA.